Terry W. Owens, age 68, of Decatur, passed away October 27, 2012, at his residence. Funeral services will be held Tuesday, October 30, 2012, at 11:00 a.m., at The Church of Jesus Christ of Latter-Day Saints, 2006 Modaus Road, S.W., Decatur, AL. Visitation will be Monday, October 29, 2012, 6:00 p.m. until 8:00 p.m. at Shelton Funeral Home, 2105 Beltline Road, S.W., Decatur, AL, and on Tuesday, October 30, 2012, from 10:00 a.m. until 10:30 a.m., at The Church of Jesus Christ of Latter-Day Saints. He was born in Jasper on July 5, 1944, to Wilson and Lillian Tillery Owens. He was raised in Samson where he was an outstanding high school athlete. 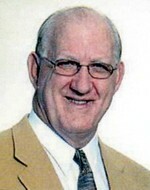 He signed a football scholarship with the University of Alabama, but transferred to Jacksonville State University in 1963, where he graduated with a degree in Biology. He was a two-sport performer for the Jacksonville Gamecocks in basketball and football. Following a solid college career, he was drafted by both the NFL's Chicago Bears and the AFL's San Diego Chargers in 1966. He opted to join the Chargers, playing 11 years until a back injury forced him into retirement. Soon after his football career ended, Terry became a State Farm agent. He was with State Farm for more than 35 years, until his illness forced him to retire in March of 2011. He was preceded in death by his parents and two brothers, Billy Ray Owens and Bobby Hue Carter. Survivors include his wife, Alison Owens; his children, Dana Molan of Alabaster, Amanda Owens of Jacksonville, FL, and Jason Owens of Jacksonville, FL; his stepson, Brian Blakely of Provo, UT; twin brother, Jerry Owens, and brother, Jimmy Owens. He had five grandchildren, Katelin and William Molan, Reagan Owens, and Cora and Harrison Blakely. Terry donated his tissue to the Boston University School of Medicine and the Center for the Study of Traumatic Encephalopathy. By participating in the groundbreaking medical research, Terry will be able to create knowledge and awareness that will make sports safer for all athletes at all levels of play, as well as facilitate research that will generate treatment and eventually a cure for CTE.